Is a compost pile just a mound of plant debris and kitchen scraps? No, and Bianca Lavies’ book, Compost Critters, reveals the amazing critters that inhabit the compost pile and turn garbage into rich humus that makes our gardens thrive. Written for children in grades three through six, this photo essay opens a whole new world to readers in a fascinating and captivating way. Lavies begins by showing the way she built her compost pile, with garbage from leaves, eggshells, fruit, and vegetables, and points out the importance of recycling the elements in the biosphere. Then the reader is introduced to the critters that inhabit the pile: sow bugs, bacteria, fungi, earthworms, nematodes, springtails, mites, hister beetles, millipedes, pill bugs, land snails, and fruit flies. 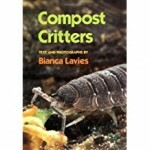 For each of these critters the author provides information about their life cycle, behavior, role in the decomposition, interaction with other critters, classification, and history, as well as a full color photograph of the critter in action in the compost pile. Most of the photographs are magnified, some microscopically, and provide details not often found in a children’s book. 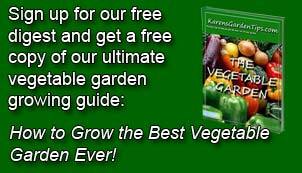 The culmination of the book is photograph of the tomato plants growing by the compost pile at the end of the season showing off their huge, and beautiful fruit. The text is fairly extensive but is written in short sentences with a non-technical vocabulary so is very readable by most children nine and up. The pictures are so intriguing that younger children interested in critters could easily enjoy the book with an abbreviated reading of the text by an adult. This book should not be restricted to kids nine and up because the text has so much to offer that a savvy adult could make it suitable for many enjoyable readings by even very young children. To buy Compost Critters from Amazon.com Click Here.